Q: Autothrottle does not work. A: That's because the CRJ does not have that. Be a pilot and fly the damned thing! A: That's because the CRJ does not have that. VNAV is only advisory. And yes that is weird. Q: The sunvisors are missing! A: Well yes and no. When they are not used they can be detached and stored. Most crews seem to do this, so we decided not to show them. 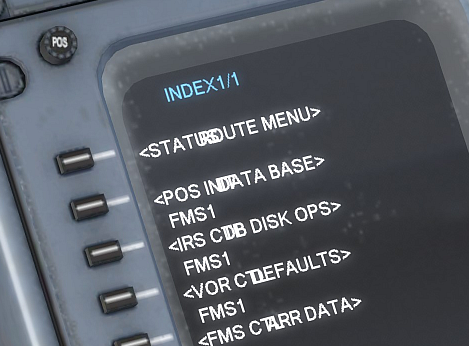 Q: Where is the data folder on P3D machines? Q: No matter what I try the flight plan will not load! It's a massive bug! A: It's a CRJ thing. The flight plan is actually loaded as the SECONDARY flight plan. After it is loaded you need to ACTIVATE it. A: Reboot and all will be fine. Q: Aircraft starts to taxi on idle thrust! A: Yep, that's why so many airlines prefer single engine taxi-in. Fully normal. Q: The docking gates do not fit! A: There is no information that tells the gate what the size of the fuselage is, so at this moment it will always looks as shown. 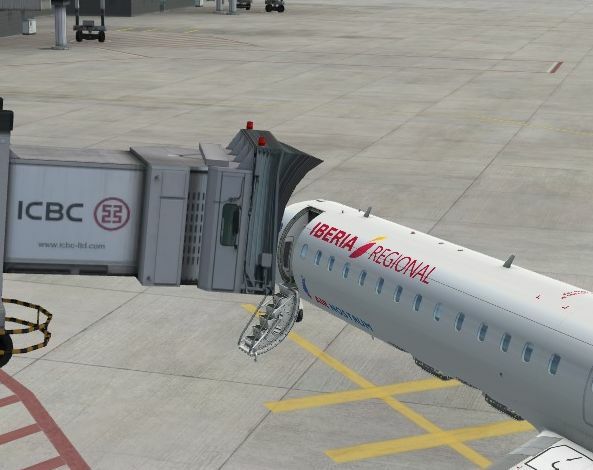 Do note that it is not standard to dock a CRJ at a gate designed for widebody aircraft. Many won't even get low enough. Also note that you have to use Dave to tell the aircraft to use the stairs with the railing down! A: To avoid slowing down the loading of the aircraft it is actually only loaded when the aircraft is fully done. So it can up to a minute before it is visible. A: The FMC filters available airports for a minimum length of 4500ft for the longest runway of each airport. Anything less than 4500ft is considered too short. A: Simbrief uses a navigation database from March 2016. The CRJ's database, if you didn't update anything, is from August 2017. That's a difference of almost 1.5 years. Many procedures (SIDs, STARs) have been updated in the meantime their names were changed accordingly (for example DINGS3T to DINGS4T). So, the names used by Simbrief aren't even part of the CRJ's database anymore. Simbrief offers a method to unlock the latest navigation data by entering a key on their site. This is really the only way to make it work properly: keep both databases current. A: This is caused by signal noise around the null zone of the joystick's or yoke's X and Y axes. You can either increase the null zone in the calibration software for your device, or decrease the AP disconnect sensitivity in DAVE (the tablet in the VC, to be found on the OPTIONS page) to MED or LOW.